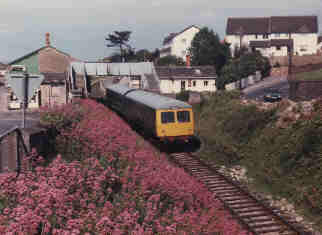 Watchet Station has a single platform and it nestles between hillside and harbour. 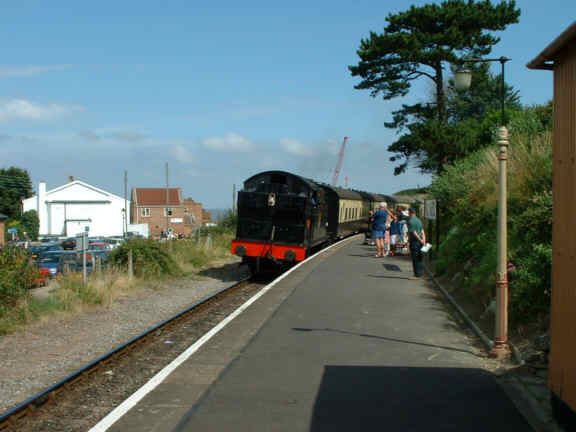 An older view of a Cravens DMU leaving Watchet for Minehead. 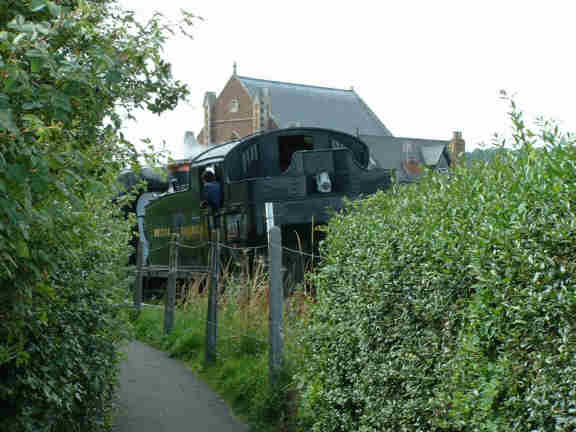 A footpath leads from the Bishops Lydeard end of the platform, 4160 is glimpsed here from the path. 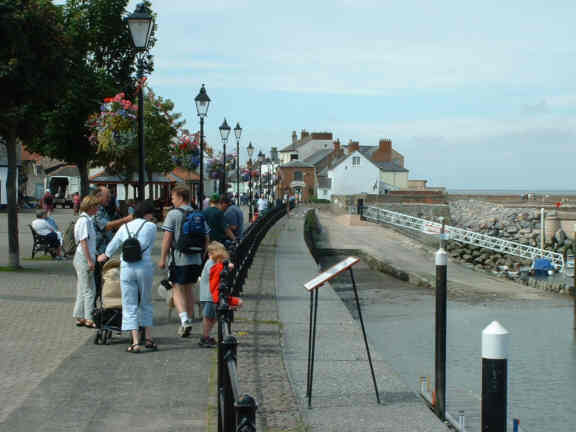 At the end of the path is a foot crossing over the line down to the harbour. 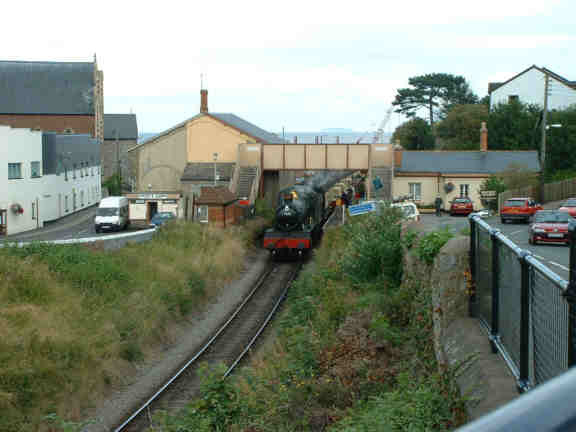 4160 is seen here going over the crossing with the harbour in the background. Once over the crossing you can walk along the side of the harbour, recently converted to a marina following the end of cargo shipping activity here a few years ago. This warehouse in the old cargo handling area has an interesting motto on it. 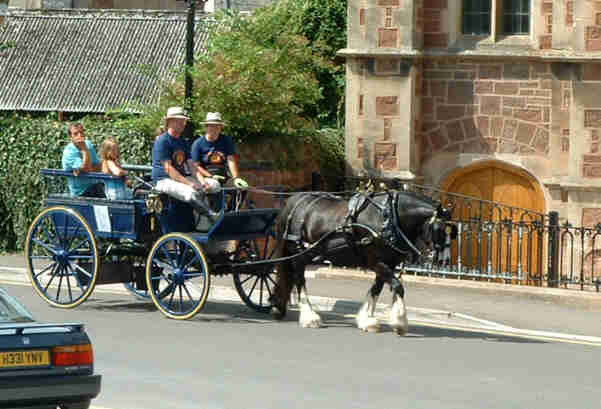 New in 2002 is this horse drawn tour of Watchet, many years ago my wife tried something similar from outside Minehead Station with little success, but this one seemed to be doing well when I was there. 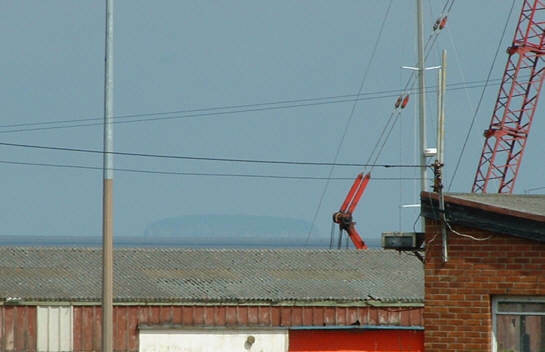 On a clear day you can see Steep Holm, an island in the Bristol Channel opposite Weston super Mare from the platform at Watchet. 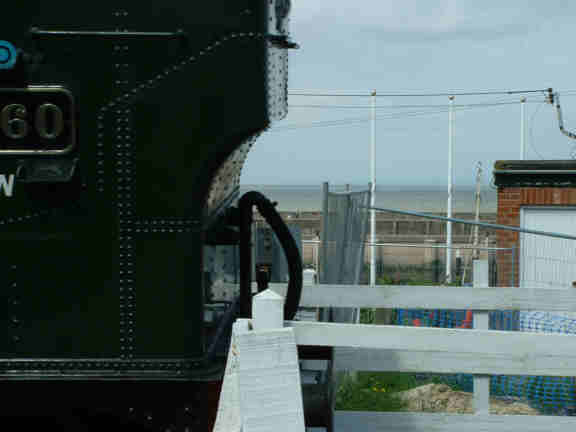 Another glimpse of Steep Holm, visible in the background as 7820 Dinmore Manor stands in Watchet station with a down train.